We have good news and bad news. The bad news is, Mad Doctor Evil Wüten is threatening the city with his zeppelins. The good news is, no need to worry, Jack Hammer is on the case! 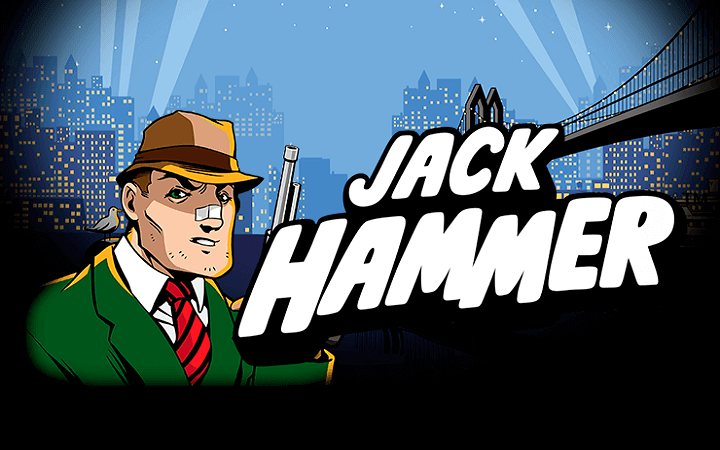 Jack Hammer casino slot game by NetEnt online slots tells us a detective story which is set in the 50’s. Graphics quality consists of hand-drawn vignettes, in fact, the whole interface looks like a comic book page. This is a story-based free slots no download game and contains 5 reels, 25 pay lines. The symbols of Jack Hammer online slot game by NetEnt consist of vignettes, as we mentioned above. Each one tells a different part of the story and all are high-valued. They pay between 10 and 1.000 coins, the vignette of our hero is the most valued symbol. The game has a special feature called “Sticky Win” and it is always active. Landing a winning combination (or three scatter symbols) will trigger this feature. The reel with winning symbols are held and other reels re-spin once more, for free. The best part is, if this free spin ends with a winning combination too, the feature triggers again. In theory, you can have infinite free spins if you keep winning. The wild symbol is shown with cartoony “wild” letters and don’t have a separate payout value. But it substitutes for all other symbols, except the scatter. A picture of a ticking bomb is used for the scatter symbol. You need to land at least five scatters to activate the free spins feature. During the free spins, multipliers raise up to x3. You can win up to 30 free games depending on the number of scatter symbols. Jack Hammer game offers you the chance of winning 250.000 coins with one spin. The coin value of the game can be set between 0.01 and 1.00 coin. Playing with the maximum bet level cost 250 coins. You are limited with only 5.000 coins in the demo mode, so play with care. The game supports automatic spins and has a clean, easily understandable interface. 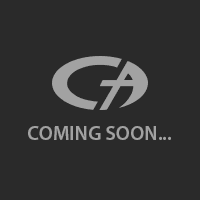 We had a good time with it, but you can play for free and see for yourself if you play at Casino Avenue.